Bad oral hygiene can lead to a variety of dental and medical problems such as infection, gum disease, heart disease, and more. Regular dental checkups and professional cleanings help to prevent these problems. Dr. Robert Brooks in Brooks Cosmetic & Family Dentistry in McDonough, GA, offers a full range of dental services. Here are four reasons why professional cleanings are so important. 1. Prevent Cavities- Dental plaque is a sticky film of bacteria that builds up on your teeth. The bacteria turn the sugars in beverages and foods you consume into acid. The acid attacks the tooth enamel. A hole called a cavity can form. Plaque can be removed by practicing good oral hygiene every day and getting professional cleanings. 2. 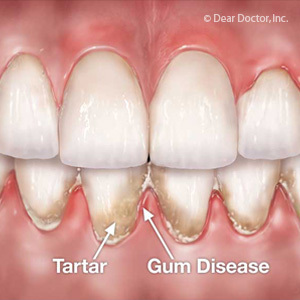 Prevent Gum Disease- Gum disease is an infection of the structures around the teeth. It is also called periodontal disease. Gum disease has been linked to health problems such as stroke, heart disease, diabetes, and premature births. You can prevent periodontal disease by brushing at least twice a day, flossing daily, and visiting the dentist at least twice a year for checkups and professional cleanings. 3. Prevent Tooth Loss- Gum disease is typically caused by poor flossing and brushing habits. In advanced stages, gum disease can destroy the jawbone, causing your teeth to fall out. You can prevent this from happening to you by practicing good oral hygiene every day and getting regular professional cleanings. 4. Whiten Your Smile- Tooth discoloration can cause embarrassment and keep people from smiling. A number of different beverages, including sports drinks, cola, tea, red wine, and coffee can cause tooth discoloration. Tobacco use and certain medications can also stain teeth. 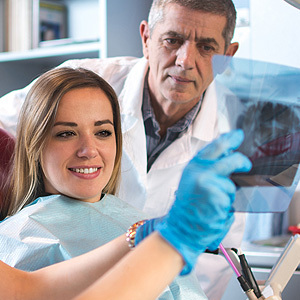 Professional dental cleanings in McDonough will whiten your smile and leave you with freshly polished teeth. Want a great life? Start with your smile. Call Brooks Cosmetic & Family Dentistry at 678-583-0330 today to schedule an appointment for a professional cleaning in McDonough, GA. Your dental hygiene routine and professional dental care are more than just taking care of your smile. They're important steps in taking care of yourself.